Quality hardscape and pool fencing installation will drastically improve the look of your pool area and deck. At DFW Wholesale Pools, we utilize industry leading materials and equipment to ensure the best finished product. 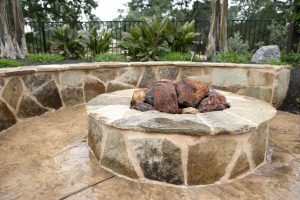 Unlike landscaping, hardscape uses hard materials as opposed to materials such as mulch, soil and plants. Our goal is to craft and design the most durable fences and retaining walls available in order to keep your family and pets safe from any mishaps. For a quality finished product that lasts for years, hardscape should be completed by a team of experts. We have a history of dedicated service and continue to work with the residents of Wylie, Parker, Frisco, McKinney, TX and surrounding areas. Get in touch with our team today at (214) 536-0890 for the best hardscape and pool fencing installation in the area.